T he EP, though shorter than a NEUROSIS full-length opus, is a psychotropic experience of the highest order. And to top that off, this Neurot Recordings CD reissue also includes a previously unreleased fifth track, with the inescapably feedback-tormented hymn “Misgiven” closing out the reissue, added as a special bonus to this repressing of the recordings. The reissue comes bound in an O-Card/jewel case setup like the other recent NEUROSIS reissues, with artwork completely redesigned and updated by Aaron Turner. 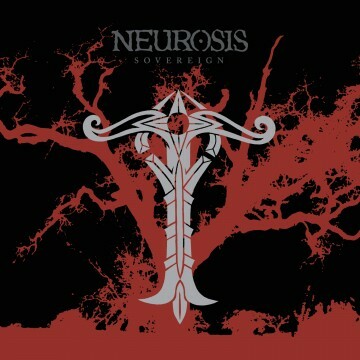 The reissue of Sovereign will be released in North America in September 2011. Stay tuned for more updates on the reissue and on NEUROSIS actions as a whole throughout 2012, as the band plots more live appearances for the coming months, and as they continue to culminate their energies into the band’s upcoming new full-length release. For more info, check out Earsplit PR here.